The day has finally come: From this very second on, BEFORE THE DAWN’s new dark melodic death metal masterpiece “Rise Of The Phoenix” is out there in the physical and digital stores, waiting for you to purchase it and to discover its enthralling pitch-black, melancholic atmosphere! The second teaser for “Rise Of The Phoenix”, the new album from Finnish dark melodic death metal icons BEFORE THE DAWN, can be seen below. The CD will be released on April 27 via Nuclear Blast Records. After the departure of Lars Eikind (bass/clean vocals) and Atte Palokangas (drums), BEFORE THE DAWN experienced a rebirth of sorts. What could formerly be described as dark metal started to flow much more into melodic death metal waters. The result of this development will arise like the famous phoenix from the ashes on the 27th of April 2012: “Rise Of The Phoenix”! Together with their new companions Pyry Hanski (bass) and Joonas Kauppinen (drums), BEFORE THE DAWN will surprise you with a totally new, incredibly thrilling listening experience on their seventh studio album. Finnish melancholic melodic death metal outfit BEFORE THE DAWN returns after living through a phase of changes and uncertainty – cleansed, renewed and stronger than ever! Leaving pieces of both the musical and personal past behind, mastermind Tuomas Saukkonen, lead guitarist Juho Räihä and their new companions get ready for conquering your ears with the finest blend of northern gloom and harsh melodic death metal. 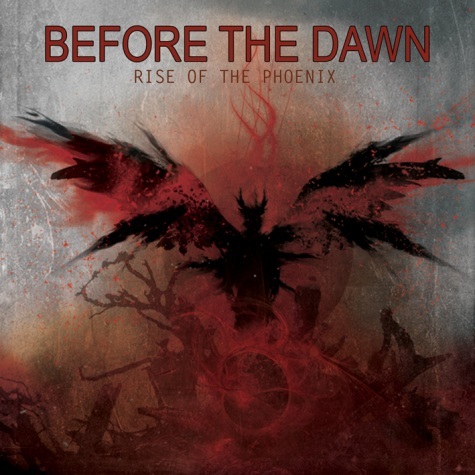 Their seventh studio album and at the same time second release via Nuclear Blast Records is entitled “Rise Of The Phoenix” and will arise from the ashes on the 27th of April 2012!